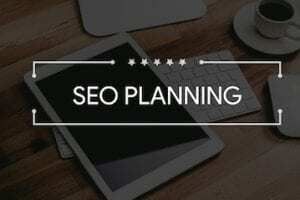 The month of April brought virtual assistants, search tools, planners and task lists, text and dictation apps, and a laser pointer. Here is a list of April’s new mobile productivity apps for Android and Apple iOS. There are both paid and free apps for your mobile productivity. Simple Scan To FTP Pro. 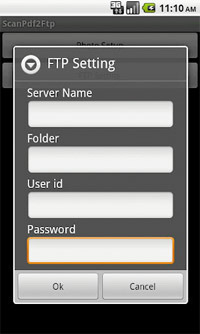 This is an application to capture a piece of paper, object or photograph and transfer it in PDF format instantly via FTP. Preview images and delete them if you don’t wish to send. Price: Free. Simple Scan To FTP Pro. 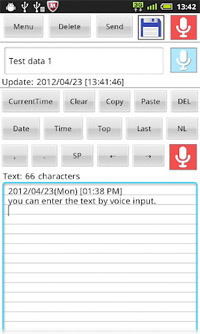 Easy Voice Notepad. 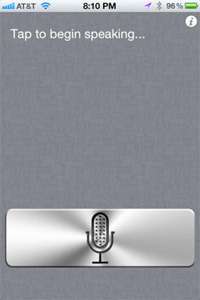 This app will create a note from your speech. 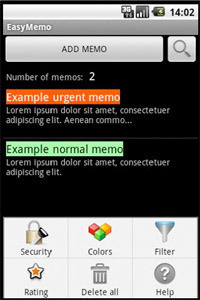 Text note can then be sent, or organized by category. Price: Free. Pad. Pad is a new, simple way to jot down notes. 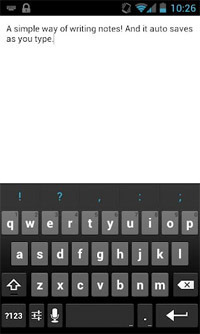 Very similar to a sticky note or notepad, Pad displays a single page that autosaves as you type. Price: Free. 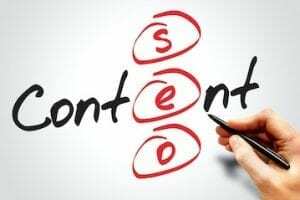 oneSearch. 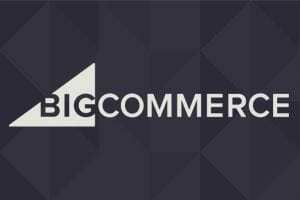 This is a one-stop shop-search solution. Enter your search once and view the results using Google, Bing, Yahoo!, Baidu, Wikipedia, and Ask. Price: Free. EasyMemo. 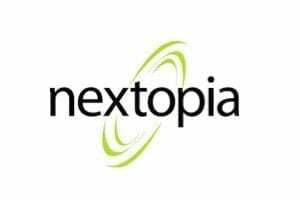 Use this app to save messages, addresses, phone numbers or other notes in a single container. Keep them secret with a PIN code to protect against unauthorized access. Price: Free. Smart Dot. 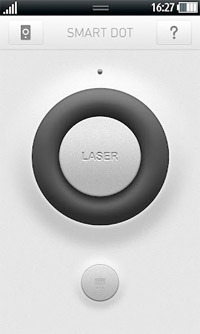 Through this application, a presenter can control the Smart Dot Laser Pointer, focusing the attention of the audience. 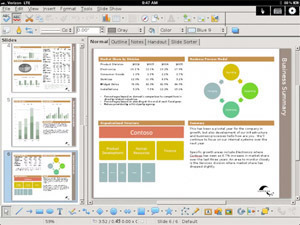 In addition, Smart Dot can control presentation software — PowerPoint or Keynote. Price: Free. Tasks. 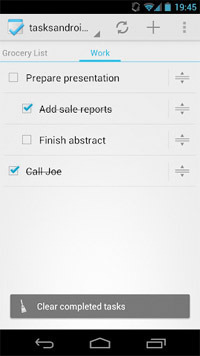 Tasks brings the full Google Tasks experience to Android. 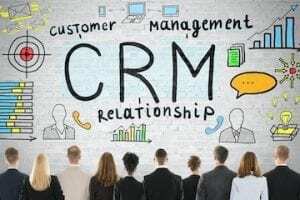 Features include due date reminders, multiple Google accounts, and sort by rearranging or by due date. Price: $0.99. Money Tab. 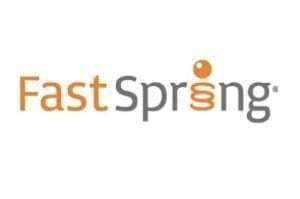 This simple budgeting application lets you record all your daily financial transactions under income and expense categories. 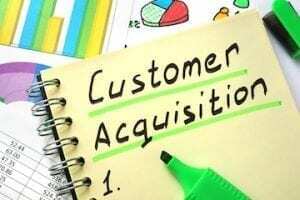 View, modify or delete all your past transactions, ordered by days, weeks and months. Price: $0.99. 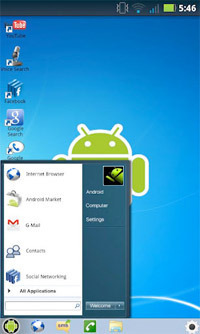 Windows 7 for Android. This app emulates a Windows desktop on your Android device. It features a task bar, start menu, widgets page, and desktop. 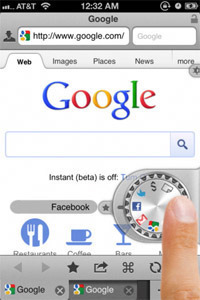 The task bar includes the start button, the browser, messaging, dialer, and the launcher. Price: $1.99. 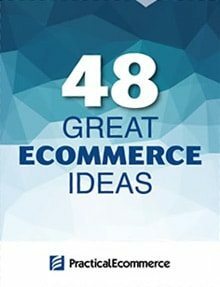 TinyList. 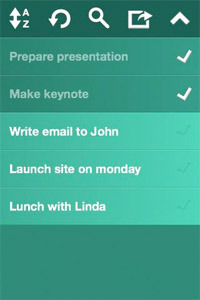 TinyList is a minimalistic app for creating simple and colorful checklists. Navigate basic to-do lists with gestures. Price: $1.99. Maven Web Browser+. Maven is a web browser that supports extended features, including save password, dual screen, user agent, desktop-like trackpad support, reader, and unlimited tabs. Price: $1.99. Invy. 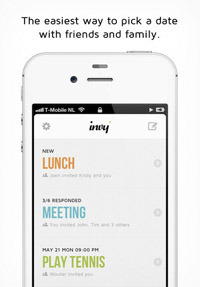 Invy is a stylish date picker to schedule appointments with your peers. 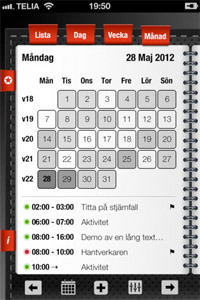 The app is integrated with the address book and calendar on the iPhone. Price: $1.99. Clipbox. 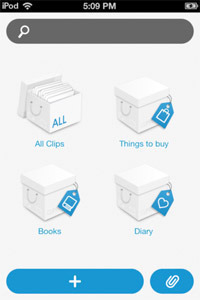 Clipbox helps you organize and view images from anywhere. 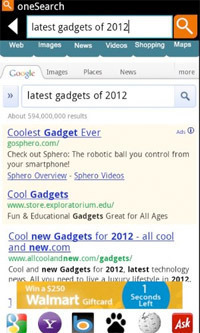 Make boxes for immediate access to your own search terms. Price: $0.99. Dayline. 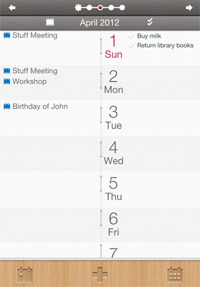 Dayline can manage iPhone-standard calendar events and synchronize with Google Tasks. By using Google Tasks, you can create tasks from Gmail and Google Calendar. Price: $2.99. Voice Assistant+. Voice Assistant+ converts your voice to type. Speak and your words are instantly converted into text. Dictate emails and text messages, as well as status updates to Twitter and Facebook. Price: 0,79 €. #todo. 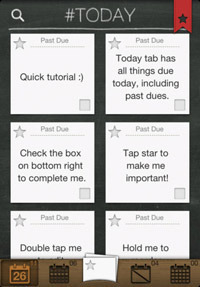 #todo is a smart daily to-do manager, with a bit of Twitter flavor. Create to-dos like tweets, with @contacts, #tags, and image. Price: $1.99. Agendium. 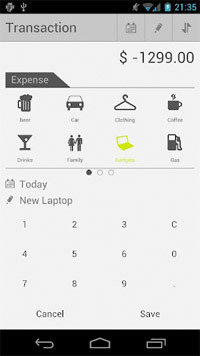 This is a stylish calendar and planner app. Adjust the interface to your taste and use the date calculator to determine the week and weekday for any date. Price: $1.99. 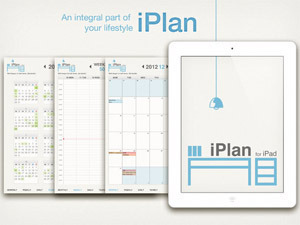 iPlan for iPad. This is an iPad planner app with a clean design. Select from five different themes. Check the weather with easy-to-read symbols. Price: $2.99. Voice Answer. Voice Answer gives you answers. Ask your question either by talking to it or typing it out, and the app will answer you in a clear voice. Find answers to questions on a wide range of topics, including mathematics, finance, weather, measurement, people and places. Price: 2,39 €. Documents Unlimited. 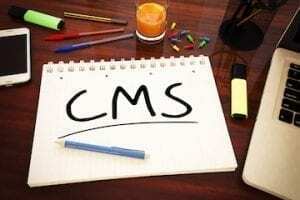 Documents Unlimited allows you to edit your Microsoft Office and OpenOffice documents on your iPad. Price: $4.99.